1. Work hard for continuous improvement. 2. Seek occupational growth and development. These two attributes go hand-and-hand as they feed into each other. If you are continually trying to improve what you currently are doing at work, you will eventually find other strategies and methodologies that add to your development overall. Great employees do not stay in the “safe zone,” which means just learning enough to do your job, but no more. Great employees do not just want to get by; they want to fly by the rest and learn to fly as high as they can. 1. They read industrial related articles, magazines and books. 2. They attend educational classes, seminars or webinars that will improve or add to their skills. 3. The seek mentors to guide them and to learn from. 4. They join work related associations. 5. They realize it is up to them to learn since personal knowledge is what makes you grow and gain wisdom. In today’s job market there is no room for employees who just “warm seats.” If you want to be a great employee, the only way to become one is to make yourself one. No one can do this for you; it is an investment that you make in yourself. 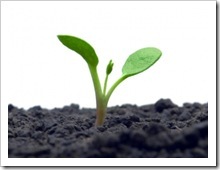 As with any investment it will take time to grow, but slow growth is strong growth. Employers do see the difference in employees that are investing in themselves and those that are not. Recently, one of my co-workers was talking to our boss about a video he watched about a new technology that our office just invested in. This interest he showed spoke volumes to our employer. This employee was genuinely interested in knowing how this technology works so he could speak intelligently to our patients when they had questions. He was investing in his career. No matter what your position is you can become a specialist at it. Take the time to invest in yourself even if it is just 15 minutes a day. The knowledge you learn will add up over time. You can be a great employee! This entry was posted on Monday, May 18th, 2015 at 8:00 am by Tina Del Buono, PMAC.